WIC is a nutrition program that provides healthy foods, nutrition education, breastfeeding support, and referrals to healthcare and other services, free of charge, to New Jersey families who qualify. 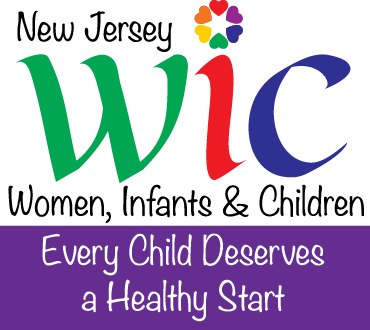 WIC is federally funded and benefits pregnant, breastfeeding, postpartum women, infants and children who are income eligible. What benefits are offered from WIC? Once deemed eligible, families are given the resources needed to provide a healthy start for their children including individualized nutrition education and healthy food packages. Individualized nutrition education and group education classes are provided by trained nutritionists and Registered Dietitian Nutritionists and cover health topics such as infant nutrition, healthy weight, breastfeeding, cholesterol, food allergies, and nutritional deficiencies. Healthy food packages are provided in the form of WIC checks, or approved grocery store checks, that are given for the purchase of healthy food options including: fruits, vegetables, beans, eggs, rice, peanut butter, baby food and formula. In addition, referrals for health care or other necessary services are given as needed. The WIC nutrition program equips families with the tools they need to give every child a healthy start for only about 4 hours of their time per year! Are you pregnant? Are you thinking about breastfeeding? Talk to a breastfeeding expert who can help answer your questions and guide you to the correct information to get your breastfeeding journey off to the best start. Breastfeeding peer counselors are trained in providing breastfeeding support, but most importantly, they are moms who have breastfeed their babies. At your next WIC appointment, ask if you can talk to a breastfeeding peer counselor. WIC has breastfeeding peer counselors and lactation consultants available by phone or in person. Peer counselors are familiar with resources available to you. Going back to work? Not sure how to get a pump? Don’t worry, WIC has you covered. WIC understands that being a working mom isn’t easy. Let us take some of the stress off of you, so you can focus on your baby. For more information on breastfeeding including getting started, finding support, understanding the New Jersey breastfeeding law, or pumping/returning to work, visit our Breastfeeding page. Where can I use WIC vouchers? New Jersey WIC benefits may only be used in New Jersey and at a participating WIC vendor. Click here for a list of store vendors that accepts WIC vouchers. 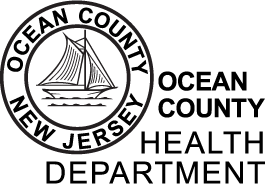 Where can I find a WIC clinic in Ocean County?